I don’t like ‘first-run’ dialogs, Internet Explorer is annoying enough, Now Windows and Office insist on playing me a film clip when they start for the first time. I’m a busy guy I have things to do, stop asking me questions and making recommendations! It takes this long to create a user profile? I don’t think so. 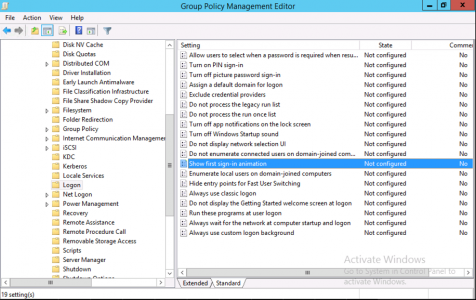 You can do this by local policy on the machine, but domain group policy is the easiest and quickest solution. 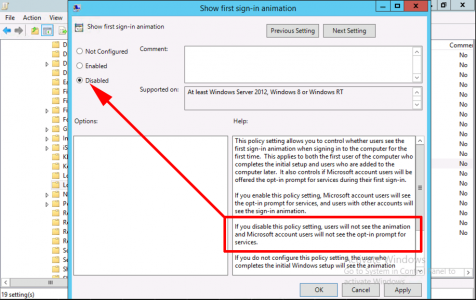 On a domain controller, (or client with the RSAT tools installed). 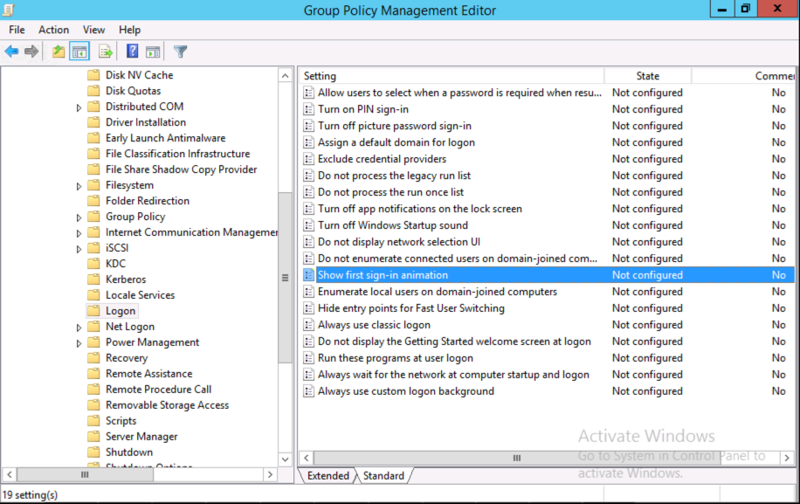 Run the group policy editor (gpedit.msc), Then either open an existing policy, or create a new one and link it to the OU with the target computers in it. Locate ‘show first sign-in animation’. Then either reboot the clients, wait a couple of hours, or manually run “gpupdate /force” on them. 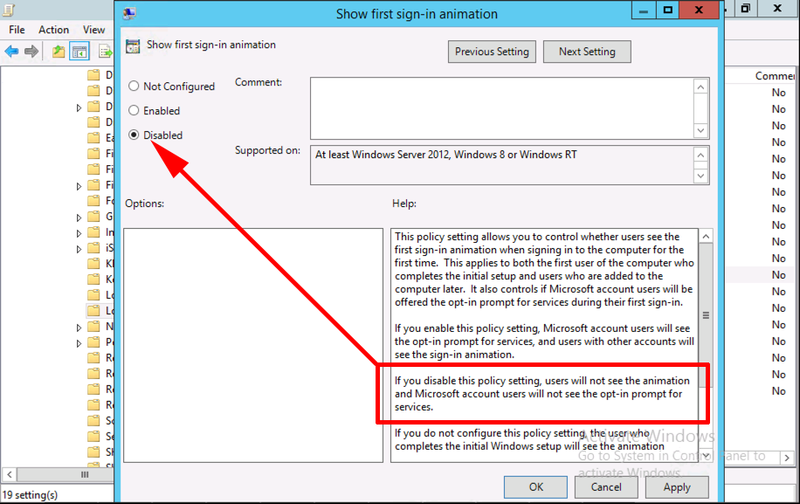 Or if you are on a Windows Server 2012 domain you can force the update from the policy editor.